​NBA free agent ​Nick Young has found himself a new team. The former Warriors role player was seen in the ​Denver Nuggets locker room at their practice facility on Monday, rocking some of the team's gear. The team would then later announce that he had agreed to a deal with the team. The 33-year-old is set to join his sixth NBA team in his career, as the Nuggets are dealing with a plethora of injuries to players such as Will Barton, ​Gary Harris and Isaiah Thomas. After winning a ring in 2017-18 with the Warriors, Young was a free agent and hadn't agreed to terms with a new team. Denver came calling after their recent wave of injuries and were able to scoop him up. 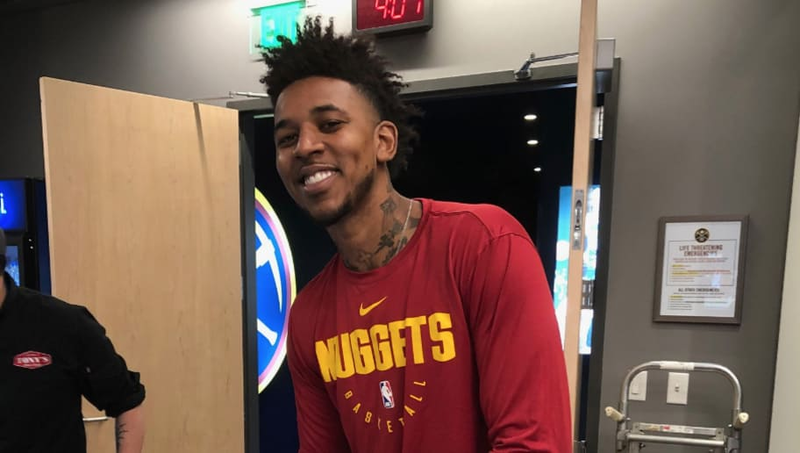 Nick Young is at the #Nuggets practice facility. It didn't take long after the video was released for the official announcement to come. The Nuggets welcome one of the league's biggest personalities to their squad. Hopefully he can help them regain the top spot in the Western Conference after the Nuggets were jumped by the Warriors. The team is 17-9 and will need to rely on role players while some key starters recover from injury if they want to continue to contend in the West. In 2017-18, Young averaged 7.3 points per game and converted 37.7 percent of his 3-point attempts.